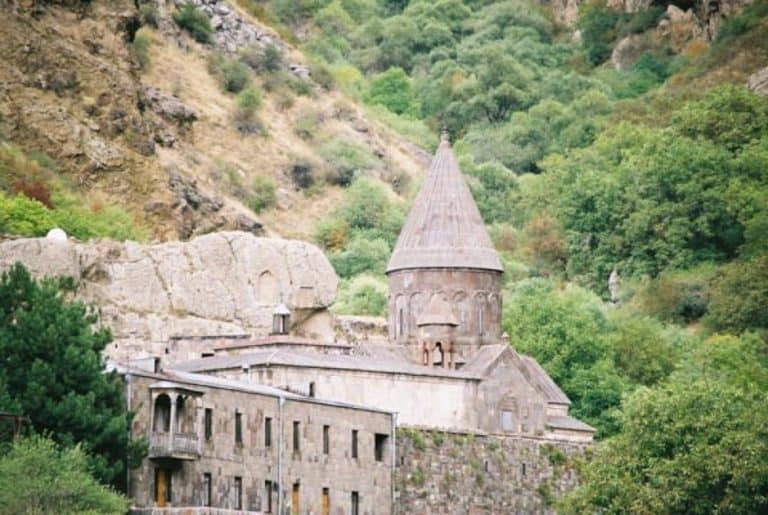 [ Autumn, 2005 ] Another tourist destination in Armenia is Geghard Monastery. When you go down from Garni Temple on the hill, soon you will see the building attached to a rock. 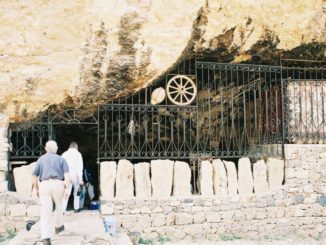 The half of the building is inside a cave, so it is called the Cave Monastery, too. 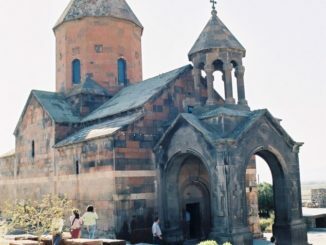 It was built in the 13th century and the story goes that they found a part of the spear which thrust Christ’s side, so the name is Geghard (spear). 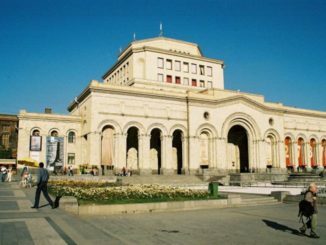 In Armenian church, the alters are higher than the ground, like a stage. People make the sign of the cross in the same order as Catholics, not like Russian Orthodox people. I found the Cross Stones in Armenia very beautiful. These are like gravestones but with fine carvings. I learned that these are used as gravestones, but also as a place to pray in remote places where they do not have a proper church. Also in Armenian churches, the wooden door were very beautiful with fine carvings, too.